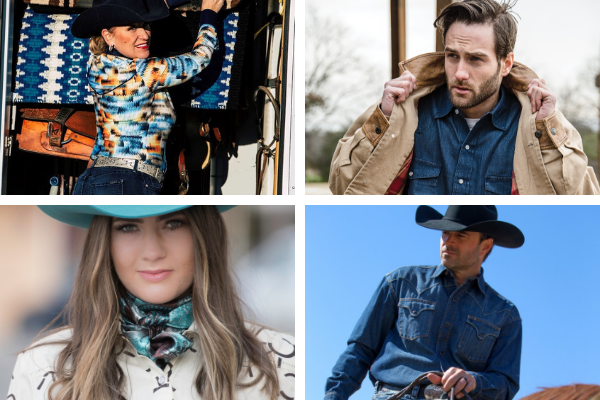 Our apparel selections begin with colorful prints & patterns, those styles which can be coordinated with many of the basic shades found traditional western wear. Shades of Denim Blue, Khaki Brown, Black, vibrant Turquoise and Sunset Red. We resource quality merchandise and custom design many of our offerings. At Diamond D Ranchwear, we want to empower you to look and feel your best - while living the western lifestyle be a it work or pleasure!